Mark Armstrong reports on Day 2 of the ACC meetings in Amelia Island, Florida. 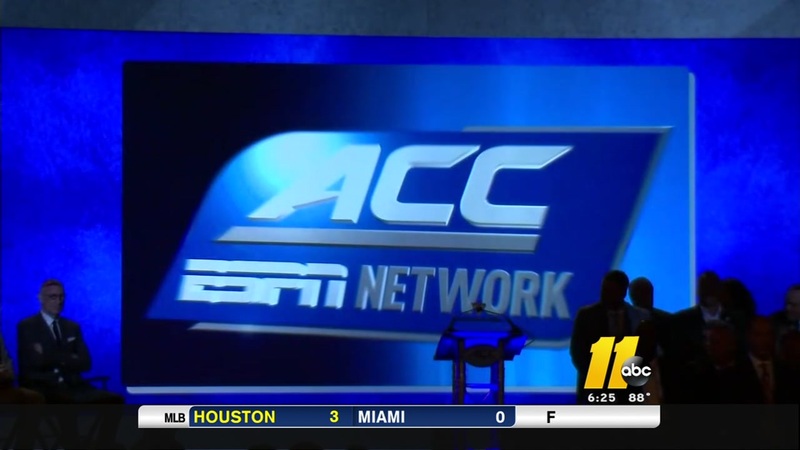 FLORIDA (WTVD) -- Mike Krzyzewski emerged from a meeting room chock-full of ACC basketball coaches with plenty of jokes per usual. He laughed about him, Roy Williams and Joe Boeheim sitting next to each other and cornering the room on experience, and tried to beg off speaking to us, claiming he hadn't understood any of the meeting conversations because they hadn't been speaking in "full sentences." There was, of course, plenty of serious stuff to discuss as well- with the Rice Commission having recently released its recommendations for college hoops reform. Coach K seemed bullish on the process - most notably that the NABC's recommendations were being instituted on matters like increased recruiting access. Wendell Carter Jr.'s mother was a headline grabber recently with her condemnation of the current NCAA framework, comparing it to slavery and the prison system. Coach K reacts to Wendell Carter Jr.'s mother's condemnation. Krzyzewski's voice obviously registers loudly on all matters of college hoops. He wants much more change when it comes to matters of student-athlete welfare, but also feels that not enough is said about how much better things have gotten for players in the last couple years. Coach K on student-athlete welfare. I also asked him about Fayetteville star Joey Baker's decision to enroll early this year at Duke, further strengthening the number one recruiting class in the country, even if he may not wind up playing that much. Watch to the end for K's thoughts on how antiquated the term "redshirt" sounds in the current hoops climate.